Old Colony Montessori School | Why Montessori? All children are motivated by a natural curiosity and love for knowledge. The goal of early education should be to cultivate the child’s own natural desires and to absorb new information, creating a lifelong love of learning. 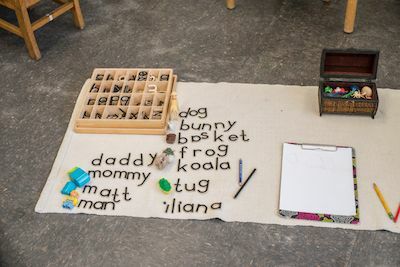 In the Montessori classroom, the natural development of each child is nurtured by following a curriculum designed to meet each child’s individual needs. Children are able to work at his/her own skill level and pace. With a mixed-age environment, and continuity with one teacher, the Montessori classroom is cohesive, caring and supportive. We invite you to see our classrooms in action. All children are motivated by a natural curiosity and love for knowledge.